Ornament only, base sold separately. Microdermal piercing jewel with Hello Kitty logo on black background. 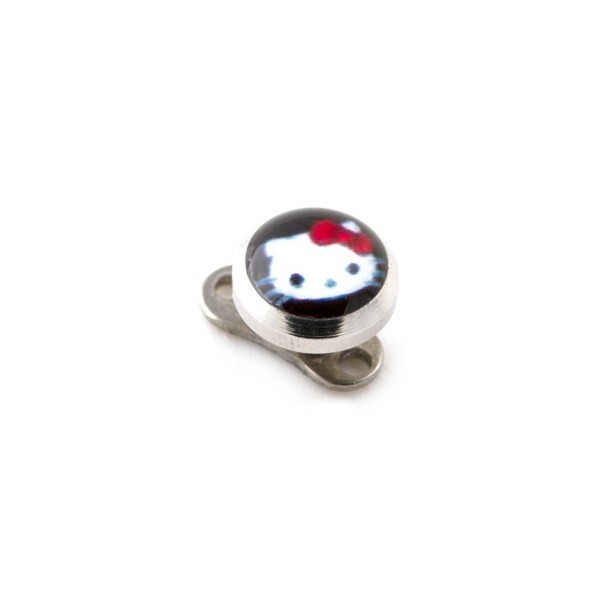 A must-have Hello Kitty piercing in 316L surgical steel for all Hello Kitty fans ! To screw and unscrew directly on your piercing basis. 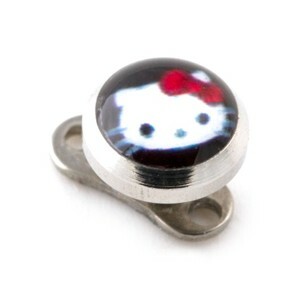 This body jewel black hello kitty top microdermal piercing made in 316L Surgical Steel, of Round shape, with Black as the predominant colour, and with White as a secondary colour is proposed to you in Standard size and in 05mm (3/16") diameter. There are 3 other versions of this product: dark blue, light blue and white. This product is often bough with pink strass round top for microdermal piercing and 316l surgical steel black rounded disc top for microdermal piercing.